After years of waiting and longing for it, the day had finally come. 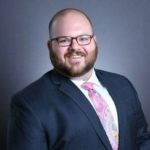 I happily quit my six-figure Senior Manager’s job with lofty benefits and launched my own accounting practice. The wife was onboard, half of my friends supported me, and I had some money in the bank. I couldn’t think of a better start for a newly baked entrepreneur! After a month passed, I finally had my first lead. A distant friend of mine reached out and said he wanted some help on his taxes. As you might imagine, I was pumped! But things didn’t go as expected. For the small one-time fee this gentleman paid me, he thought he would be getting 24/7 access to me, including sending me multiple emails a day and expecting me to get right back with him. He also questioned some of my sound advice, and when I insisted on doing things the proper way, he complained. Needless to say, that business relationship did not go very well and left a bad taste for both of us. No wonder that some say to never do business with friends! So I went back to the drawing board. I realized that although I had skills and expertise that people desperately needed, it was going to take some time and elbow grease to build a client list. I felt that I needed to get out there and prove to everyone how good of an accountant I am. Surely that would make them want to work with me! I was getting the occasional lead here and there. But most were price shoppers who were working on a shoestring budget. Other than that, it was complete crickets. To say I was frustrated with my lack of results is an understatement. Something was not working for me in this new economy. They just viewed me and my services as a commodity. My messaging simply wasn’t resonating with people. I realized that the way consumers interpreted marketing messages has been radically altered because of social media and people’s’ dependence on their computers and smartphones. What I was missing is the fact that today’s customers are spoiled by Facebook, Google, and other platforms with receiving hyper-relevant information that is almost always applicable to their specific situation. They are bombarded with hundreds of these super-targeted messages every day. Think about the last time you picked up your phone and it was a telemarketer. Didn’t you feel like you wasted your time because the person on the other end offered you something completely irrelevant? 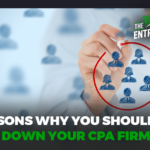 Well, long story short, I came across Ben’s Brown Facebook group “The Entrepreneurial Accountants” and started exploring the idea of offering accounting services to a specific industry to segregate myself from the masses. 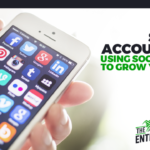 The idea was certainly not new to most accountants I spoke with, but seeing Ben actually do it and have success with it gave me the confidence to go for it. So, I decided that I would go for it and pick a niche to focus on. After thinking about multiple options, I felt like eCommerce business owners fit all these criteria. Five things drastically changed for me over the next six months as I worked through this niching exercise. 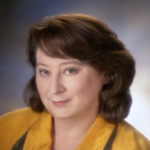 I attribute these transformations to a direct focus on eCommerce sellers in my marketing strategy. 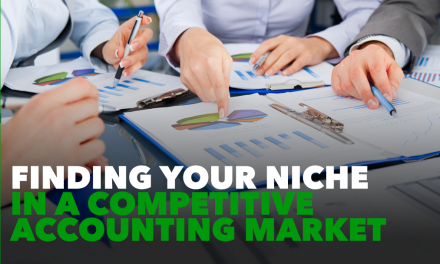 In my opinion, these are the 5 reasons why your accounting firm should niche down. 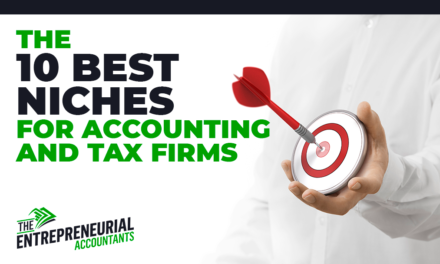 When I was working with clients from various industries, I felt like my expertise was limited to basic accounting services – tax returns, compliance, financial statements, payroll, and so on. 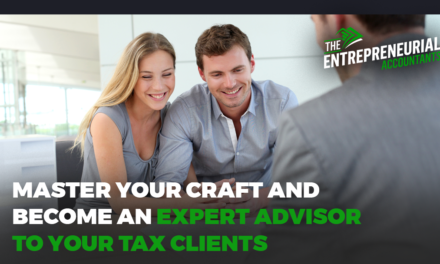 I could not make that next step to provide true advisory services like tax minimization strategies, benchmarking, systems integrations, and insightful financial reporting. You can’t truly learn what your customer really craves until you spend some time with them. By working with clients from the same industry on the daily basis, I realized that they share a common set of problems that relates to their financial affairs. 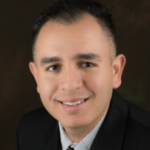 It allowed me to relate to them and change my offering specifically to solve those pain points. 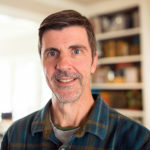 In his book 80/20 Marketing, Perry Marshall talks about how a good salesperson needs to master a game of disqualification. As business owners, we should disqualify 80% of our prospects before they even talk to us. We should build processes to catch the right type of clients. Wouldn’t it be nice to only talk to prospects who are potentially good paying clients with an ideal values fit with your firm? In reality it is easier said than done. How do we know that a prospect is a bad fit if we don’t talk to them? 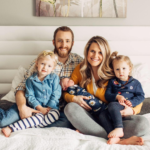 From my personal experience, I can tell you that after I picked a niche, finding the right client type has become much easier. What is currently working for me is a well-built Google Form embedded on my website that qualifies the prospect for 1) being in eCommerce industry, 2) the need for an accountant on a monthly basis, and 3) a minimum monthly budget of $500/month. Yes, the total number of leads fell, but the number of qualified leads increased, which has freed up a lot of my time. I have a $1,500/month client and he found me by googling a keyword “ecommerce accountant” (I am currently holding a 2nd organic search result for that keyword). He said they were burned by their previous accounting firm and were looking for someone who can understand their complex business model. Boom! 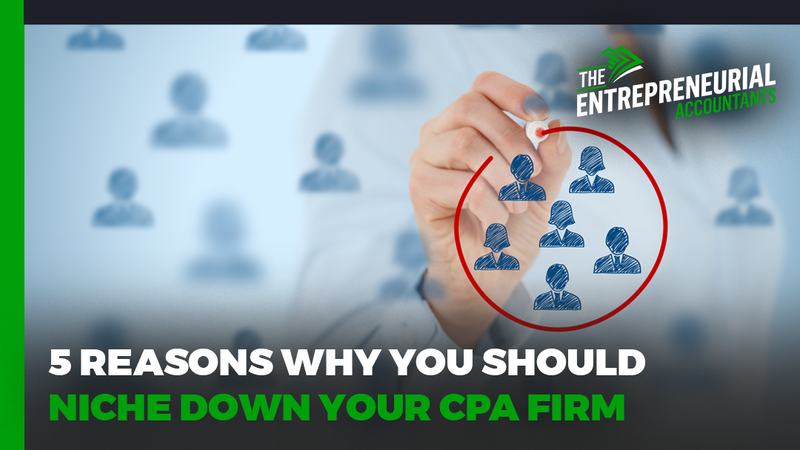 Clients want to deal with professionals who they know, like, and trust. While knowing and liking are the results of personal efforts, picking a niche helps you stand out as an expert and build that trust component before prospects even talk to you. On my website, I have multiple long posts that address main points of my industry. 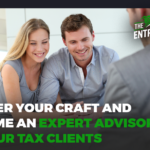 For example, I have a 5,000 words long eCommerce tax guide that addresses concerns of Canadian eCommerce sellers with regards to accounting and taxes. Creating targeted content stops being a grind when you understand your customers much better. I also belong to several eCommerce and Amazon groups on Facebook. 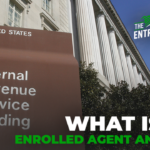 There are constantly tax and accounting questions that are popping up. I provide my expert advice (with certain qualifications of course) and my responses are seen by thousands of group members. 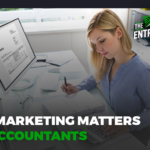 Despite the technology transformation that our profession is experiencing, accounting is still a very much trust-based business. So face-to-face time is still highly important. However, by niching down, you don’t have to go to generic events and make connections with people you will never see again in your life. There are several eCommerce and Amazon meetups taking place here in Toronto, Canada. By attending these events regularly, I established long-term relationships and authority in my area of expertise with members of these groups. We all know that finding a good client is half of the battle. The other half is to keep the customer happy and deliver on your promises. Fulfillment and task organization can be a challenge for growing firms. For example, we have specific workflows that help us automating integration of Stripe, PayPal, Chargebee merchant accounts with Quickbooks Online and Xero. Anybody who tried integrating these apps will tell you that it is not a walk in the park. However, once you do it for several clients, you will know all the in-and-outs of the process and will do it much faster. We also developed custom metrics that we are measuring for our eCommerce clients. Like for example, revenue per dollar in ad spent, fixed costs per product, or profit per store speak directly to needs and concerns of our clients. We live in exciting times – times of technological disruption and an unprecedented amount of information. According to Forbes, 96% of accounting related tasks will be automated in the next 20 years. I contend that in the next two decades niching down and becoming an expert in a specific industry, software, or process will become a necessity to survive in the accounting industry. 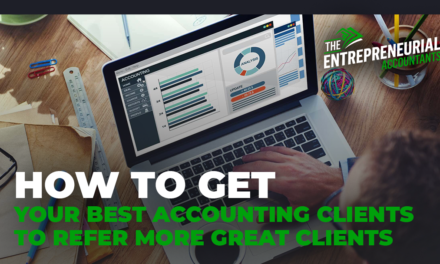 Moreover, I believe that accountants who embrace the trends will stand to benefit the most from the opportunities provided by specializations. My sincere hope is that our profession will continue evolving along the way of our customers and prosper for many centuries ahead. 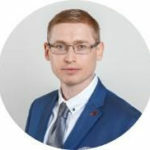 Boris Baranov is a Canadian CPA and the owner of Baranov CPA Professional Corporation, the firm specializing in providing accounting services for eCommerce sellers. 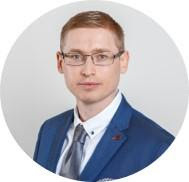 Following his passion for technology and numbers, Boris is assisting the new generation of online businesses with expert accounting and tax advice.